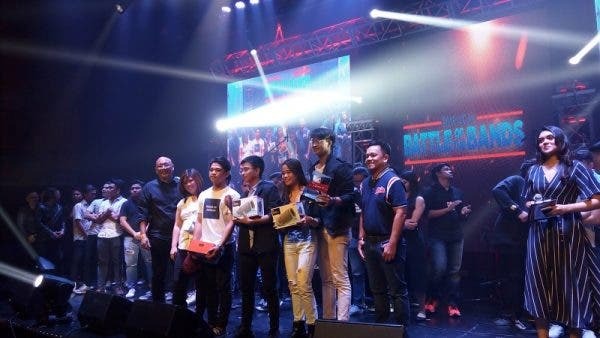 Ten bands took to the stage at the grand finals of the first-ever NCAA Battle of the Bands last Saturday (November 10) at the fabled Music Museum in Greenhills, San Juan City with Mapua University’s Cherry emerging on top to win P30,000 and a Star Music recording contract. Composed of engineering students Dane Abad, Meyer Eugenio, Allan Gatpayat, Menric Lunar, and Lemuel Mayuga, the band wowed the judges led by Star Music executive Jonathan Manalo and Rivermaya’s Mark Escueta with their performance of an original song centered on the theme of #GalingNCAA. Their sound reminded the audience and hosts Ganiel Krishnan and Hashtag member Luke Conde of the band Orange & Lemons. Meanwhile, placing second and claiming P20,000 in cash was Univ. of Perpetual Help System Dalta’s Over In October, while Arellano Unviersity’s La’Auxion placed third to take home Php 10,000. Other bands that also wowed the crowd are San Beda University’s Oblivion, Jose Rizal University’s Ridikuloso, Emilio Aguinaldo College’s 15th of July, San Sebastian College-Recoletos’ Banda ni Macario, Lyceum of the Philippines University’s Kairos, Colegio De San Juan De Letran’s Tapik, and College of Saint Benilde’s Diesel. Each band performed a cover for pre-selected Star Music songs like “Sorry Na Pwede Ba,” “Anong Nangyari sa Ating Dalawa,” and “Dahil Sa’yo” among others, as well as original compositions that adhered and promoted the theme of #GalingNCAA. “We never imagined really reaching this stage, we just came together as a band because of our org in school, it hasn’t sunk in that we performed here on the stage, and the win,” said Cherry’s frontman Lemuel Mayuga after the show. “We’re actually very shocked. 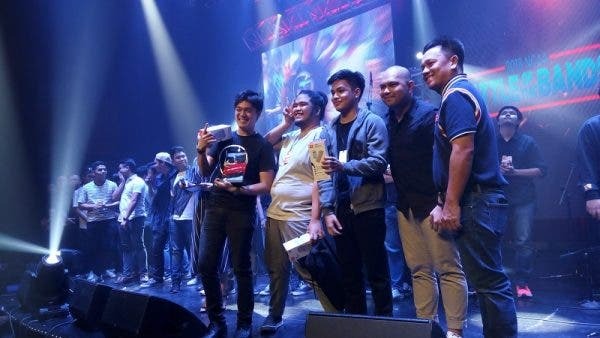 We did not expect to win, we thought we’d be last place, and we’re just content to even perform here on the stage in Music Museum,” added guitarist Meyer Eugenio about their big win. The participating bands were selected to represent their schools during the the “NCAA On Tour,” where the preliminary competition was held. 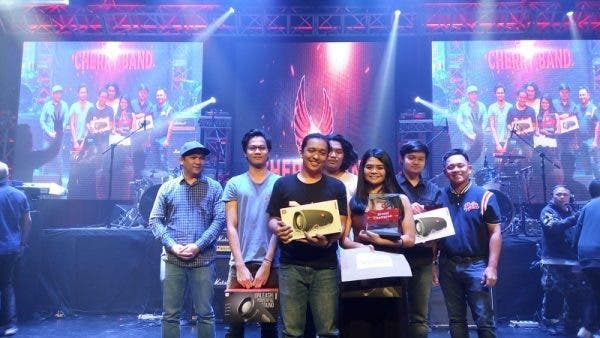 The first NCAA Battle of the Bands was announced by the NCAA Mancom early this year as another event to look forward to by members of the NCAA Community this NCAA Season 94. The event aims to showcase the musical talents of students in the NCAA, who are already known for their academic and athletic excellence. It is also another way for students, athletes, and school officials alike to come together and enjoy good music and have a great time. The celebrity performers also imparted words of wisdom to the bands that took the stage, telling the young musical minds to keep the fire burning and never lose sight of their dreams while also studying as hard as they can. Meanwhile, with the NCAA Season 94 basketball coming to a close after the SBU Red Lions ran away with their third straight title, it’s time for the girls to show their #GalingNCAA in the women’s volleyball division starting Monday (November 19). The opening, semifinals, and finals of the NCAA Season 94 women’s volleyball will be televised LIVE while matches in the elimination round will be available via livestream on sports.abs-cbn.com. For more news on the NCAA, follow @ABSCBNSports on Facebook and Twitter or go to sports.abs-cbn.com.